﻿Hosted by local jazz entrepreneur Joe Mixon. Enjoy a relaxing evening of great wines paired to Lehigh Valley jazz musicians at our beautifully restored freight house building. Local jazz musicians invited! Open jam format for all jazz musicians. Come out and jam with some of the brightest and most creative jazz artists in the Valley. 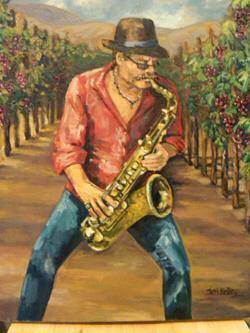 Enjoy Jazz and Wine and relax in the comfortable surroundings of ARTISAN Wine Bar.